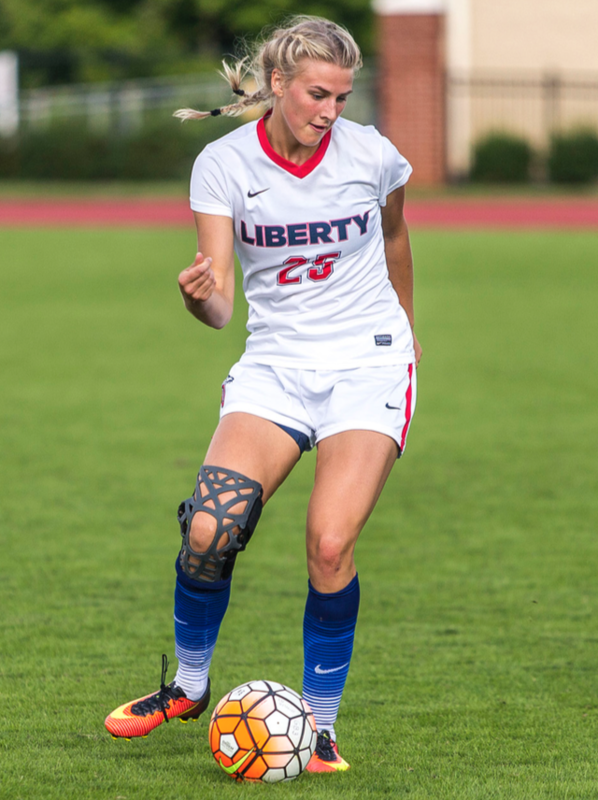 Despite slow starts to the season from both squads, Liberty’s mens and womens soccer teams both rallied to finish at or above their Big South preseason poll projections for the 2016 season. The No. 2 seeded Lady Flames finished first in the Big South conference after a dramatic 2-1 overtime win against No. 1 seeded High Point. The men’s team finished fourth in the Big South after falling to No. 5 seeded Presbyterian in the quarterfinals of the Big South tournament. The spark that ignited the Lady Flames season run started Sept. 2 against Appalachian State. “I think one game that I looked up to a lot was our first win when we were losing to Appalachian State, but we came back and won,” Coach Nate Norman said. “We were 0-3 the beginning of the season, but the girls rolled their sleeves up and got the win,” Norman said. Despite many changes from the previous season — including the introduction of a new coaching staff — the Lady Flames remained calm and stayed focused on their goal of a championship. They were 41-292 in goal-shot attempts, had an average of 1.86 goals scored per game, a .140 shot percentage and recorded 40 assists. The Lady Flames ended with a total of 41 goals, 292 shots, 115 saves and 101 corner kicks. “I was happy to see all the girls’ hard work and perseverance throughout those adverse situations pay off for them by winning the conference championship,” Norman said. When the Lady Flames did not finish the regular season in first place in the Big South, the coaches continued to encourage the players more and more. The strong finish to the 2016 season only keeps the coaches and players more optimistic about what the team can do next season. “I’m proud of them, and they are a fantastic group, and we are excited for the future,” Norman said. While they were unable to reach the success of the women’s team in the 2016 season, the men’s soccer team ended their season with a 7-9-2 overall record and a Big South record of 4-3-1. They were 33-213 on goal-shot attempts, averaged 1.83 goals scored per game, a .155 shot percentage, and recorded 32 assists. For Alder, the American game was a defining moment in his team’s season. After the loss in the quarterfinals to Presbyterian, Coach Alder said the team came together, and he was impressed with their actions. The team is not content with the loss, however. Alder said they are already working to advance even further in the Big South Conference tournament next season. Alder said the team is letting go of seniors, and he is proud of them. They spent much of their time mentoring the younger players on the team. At the sports banquet that took place Nov. 30 at the Welcome Center, the team watched a highlight video that really impacted the way Alder saw his players. Alder said he was so happy to see the team bonding at the end of the season. Seeing them off the field brings out a larger purpose in sports at Liberty. “Every year you bring in different personalities, background, and culture and they start liking each other, but in the end the prayer is they love each other and they become a brotherhood,” Alder said. Alder was excited because the team united throughout the season, but they found the greater purpose in life. “They got it, they learned that it is about serving, not just soccer,” Alder said. deutsch is a sports reporter.